With so many cafes and restaurants in Nice, it’s hard to separate the good from the bad, the worthy from the unworthy. Vacation time is precious, money should be well spent and I’m here to help you with that, at least where coffee is concerned! I’ve drank A LOT of it in Nice, usually going out at least once per week, if not more. There are some spots I go back to repeatedly with friends, and other places I’ve vowed never to set foot in ever again. To help visitors to my city, I put together a list of favorite coffee spots in Nice. And it’s not just my opinion that went into the compilation of this list, but also the opinion of friends whose nationalities include Aussie, Nigerian, British, American, and French. I also searched online to find spots to try that other travelers and locals recommend. For this list, I’ve targeted the Old Town and surrounding areas. Besides location, price was also a factor. You shouldn’t have to overpay for a good cup of coffee in France – unless the view is worth it. And even then, it better be good!! 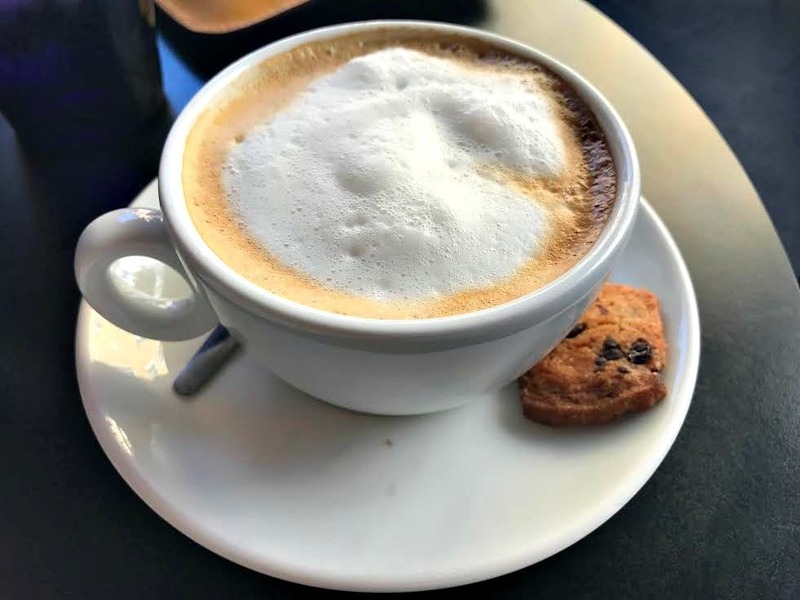 Before sharing my favorite coffee spots, I want to share a few types of coffee in France. Un Café is an espresso. This is a shot of espresso in a small cup. Une Noisette is an espresso with a little bit of milk. It’s served in the same size cup as a café. Un Café Crème is essentially a cappuccino but the word Cappuccino is actually Italian. In Nice you’ll typically see cappuccino listed on the menu (we are right next to Italy). If not, look for Café Crème. Café Crème is an espresso with foamed milk on the top served in a large bowl cup. Un Café Americain is the closest you will get to typical American style filter coffee but they won’t just bring you milk or cream with it. Occasionally, a pot of hot water is delivered to your table with the cup to allow you to further dilute the espresso. Also note, there are no free refills. Un Café au lait is a large coffee with milk added. Un déca is a decaf espresso. The French typically only drink a milky version of coffee (such as Café au lait) with breakfast. For the rest of the day, it’s a café. You also won’t find a lot of places offering coffee to-go or à emporter. The French like to sit and relax while drinking their coffee. I still have more cafes to visit, but for now, these are my picks for the best coffee in Nice. Here they roast their own beans and the delectable scent of coffee wafts through the streets of Old Town. They also serve huge croissants, so it’s a nice spot for a quick and tasty breakfast to go with your coffee as well. Good coffee and tasty treats makes Déli Bo a great coffee spot. Sometimes we even buy a bag of the mini cookies that are served along side the coffee. If you’re hungry, the mini croissants are also yummy. I’ve heard it’s a good spot for lunch as well, but I haven’t eaten here yet. Nice, France is the perfect spot to experience the French Riviera lifestyle. As the 5th largest city in France, it has the small city charm but with big city amenities. If you only have one day, you’ll be able to explore a great deal of the Nice, France Attractions. While one day isn’t nearly long enough to explore everything in Nice and the surrounding areas, our list of what to see in Nice in one day will ensure you hit the highlights. We tried to leave enough time for you to enjoy a leisurely lunch, stop at a café, browse the shops, relax in the park or swim at the beach. A few extra ideas are also included just in case you breeze through our list quicker than expected. Keep reading to see how to fit in the best Nice, France attractions in one day. Whether your visiting the French Riviera for an afternoon or a week, Nice should be high on your list of cities to explore. In trying to come up with our top 25 things to do in Nice, we considered the typical tourist hotspots as well as some of our local favorites. I hope this guide provides ideas for your next vacation along the Cote d’Azur. 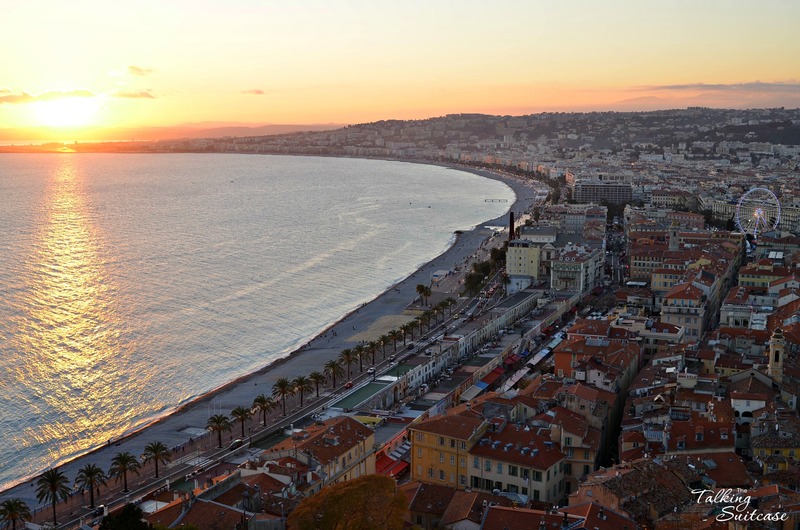 The Old Town is the perfect spot to begin your journey in Nice. From the beautiful buildings to the fresh market in Cours Saleya to enticing shops and quaint restaurants, everyone enjoys strolling along these age-old streets. As you wander around, stop for a visit at the Palais Lascaris, a great museum in the heart of Old Town. The seventeenth-century aristocratic building, now houses a musical instrument museum. While seeing the collection of instruments is definitely interesting, it’s the building itself, with beautiful frescos and intricate tapestries, that we most enjoy. Pop into the Église Saint-Jacques-le-Majeur de Nice on Rue du Jesus which was originally constructed in the 1600’s by the Jesuits. After the Jesuit Order was expelled by Pope Clement XIV, the church became a parish in 1801. The church is lit-up at night, so make sure to walk by if you’re in the area after dark. Stop by Place Rosetti and visit the Cathédrale Sainte-Réparate. The Baroque cathedral has a gorgeous alter and incredible ceiling that is a work of art. Traveler’s note: There is an LCL bank ATM machine in Place Rosetti. I use this one since they don’t have an additional fee and I get various bill denominations – I hate it when an ATM just gives out 50’s! Every morning, except for Monday, you can admire the stalls of the Cours Saleya Market. Pick up fruits and vegetables for a picnic lunch, grab a souvenir for a friend or stop to smell the roses at the Marche aux Fleurs. The brightly colored awnings will guide you through the market and out toward the Opéra de Nice Côte d’Azur on Rue Saint-François de Paule. If you choose, you could walk along the Quai des États-Unis to escape the crowds. *Monday, the area becomes an antique market where vendors sell clothing, dishes, furniture, jewelry and more. Place Massena is recognizable by the Fontaine du Soleil with its massive statue of Apollo. Relax in the Jardin Albert I or the Promenade du Paillon. You can also fit in some shopping on Rue France or enjoy some high-end, wallet emptying shopping on Avenue de Verdun. Follow the tram line toward the gare (train station) along Avenue Jean Medecin, stopping by Basilique Notre-Dame de Nice, where you continue with more shopping and sightseeing. The Liberation market, a favorite of locals, can be found as you continue along Avenue Jean Medicine past the train station. Read more about shopping, eating and exploring around the Liberation Market. The St Nicholas Orthodox Cathedral should be high on your list when visiting Nice. I didn’t add this to my article on what to do with kids in Nice, but once the Cathedral came into view the kids and I said a collective “WOW”. Sometimes my kids are a little bit more into architecture than other children.